Fadwa Lkorchy is an American board certified psychologist living and working in Dubai. Fadwa was born in Morocco and grew up in the United States of America within a diplomatic and culturally diverse community in Washington, D.C.
She continued her education over the years, becoming a certified level I & II personality Dimension trainer, Neuro-linguistic programming (NLP) coach, a licensed hypnosis therapist, and an EMDR therapist. She was a guest speaker at various local and international conferences, a founding member of counseling Arabia conferences, an organizer of many psycho-social awareness campaigns, and a staunch advocate for students with special needs in UAE. Fadwa Lkorchy appears in various TV shows (e.g. Alarabiya TV, MBC TV, AlHura TV, The One TV, Infinity TV), and she is also often interviewed as an expert in the field of children and couple therapy. Fadwa is a member of both the American Psychological Association and The Arab Psychological Association. Fadwa received her Master of Science degree in human development psychology from Johns Hopkins, one of the world leading universities. Fadwa Lkorchy started her career in Washington, D.C and Maryland by helping international students, diplomats, patients and their families adjust to life in the USA and deal with different life issues (e.g., health, grief, adjustment, cultural, family/couple issues, depression, anxiety, relational issues, etc). She moved with Weill Cornell medical university to help establish a campus in Qatar, before joining the Higher Colleges of technology as student/staff counselor and teacher in UAE. During this time, she focused on helping individuals deal with issues of self-esteem, mental and learning difficulties, emotional and relational problems. She helped bridge the gap between the college and families, facilitating communication and understanding of students needs, and establishing or changing regulations in order to empower individuals and promote educational choices. 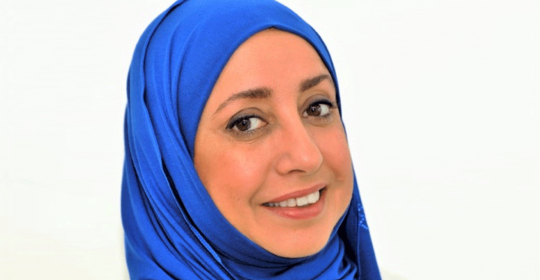 For the last couple of years, Fadwa has been working as a psychologist in private practice, using a holistic approach to helping families from different backgrounds, with a focus on children, teenagers, and couple issues. Fadwa is passionate about her work as a psychologist in Dubai. She is using an eclictical approach in the treatment of her clients to empower them to make appropriate choices and acquire life skills. Consequently, she focuses on helping her clients manage/overcome mental and emotional issues as well as disorders, and other problems that may interfere with their family life, relationships and careers. She provides them with the support and guidance to understand their problems and equip them with the necessary skills and strategies to solve them, maintain healthy life styles and build strong relationships. Fadwa offered numerous trainings to the Higher Colleges of Technology staff and students, the social workers of the UAE Ministry of Education, management/staff of Sharjah public works, and Sharjah Juvenile detention center. Furthermore, she collaborated with the UAE Ministry of Social Affairs to provide insights in the curriculum development of early education and social work programs that will fit the current national needs. • Personality Dimensions training for schools, universities, and HR departments (4 hours workshop): This is a fun interactional workshop for couples, families, co-workers, and anyone interested in understanding themselves and others in order to improve personal and professional communication and interactions. • Train the trainer personality dimensions (requires the introductory course and 3 days training with a final exam. Certification received from Canada). This three days training benefits individuals and organizations who desire to be certified trainers of the introductory personality dimensions workshop. • Psychosocial issues for relief international organizations to provide support and training for their workforce in civil conflict areas all over the world.